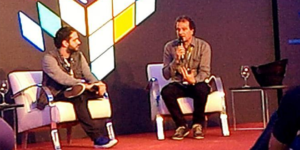 TecToy’s CEO Stefano Arnhold Ceo attended the Comic Con Experience 2016 in São Paulo, Brazil last weekend and dropped some pretty interesting tidbits during a speech about his company. He spoke about several details about the company’s history, which will turn 30 years old next year, some games that Brazilian fans have been requesting TecToy bring to market and, of course, about the new Genesis/Mega Drive they recently announced. Stefano Arnhold (right), Tectoy chairman at Comic Con Experience 2016. Arnhold also noted that Haruki Satomi, the CEO of SEGA Japan, will visit Brazil to help celebrate TecToy’s anniversary and their 30 years of partnership together. About the new Genesis/Mega Drive, Arnhold said the company is still working to make the hardware as close as possible to the original and also that the six-button joystick will be sold for the people who want to play games that require it. He said TecToy has advanced to get licenses of some games and new cartridges will be produced for the celebration, but he can’t tell which games will be release in this format before all the deals are closed. 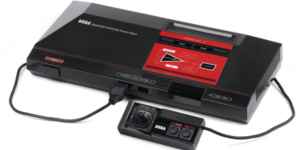 Will there be a new Master System with cartridge slot? Source: BlogTecToy, Uol Jogos, IGN Brasil.